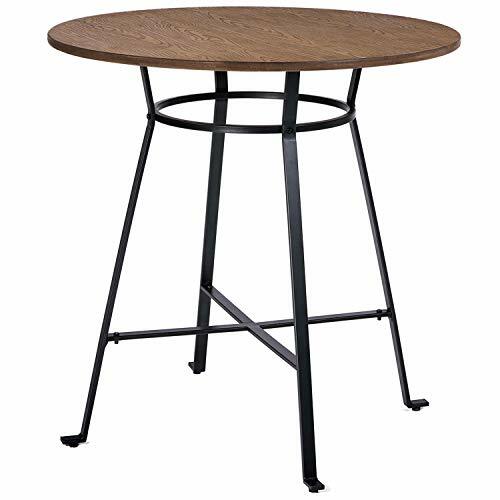 ACME Caitlin Bar Table, Rustic Oak and Black, Chairs Sold SeparatelyCategory: Oak Pub TableThis contemporary Caitlin bar set is perfect for any dining, bar or game area. The bar table in rustic oak finish features an interesting metal pipe designed bottom. The bar chairs feature a low-slatted back, metal pipe frame and upholstered seat covered in black faux leather. Pub Table in Espresso and Light Oak FinishCategory: Oak Pub TableAccommodates up to four people. Sturdy steel construction frame with elegant scrolled detail. Solid wood with oak veneer table top. Made from oak veneer with steel base. Made in China. Assembly required. Leg clearance: 35.5 in.. Overall: 42 in. W x 42 in. D x 36.5 in. H (62.08 lbs.). Warranty. Silvia I Industrial Pub Table In Oak FinishCategory: Oak Pub TableThis wine rack pub table is both space-saving and time-saving, the perfect combination when it comes to hosting family and friends. The industrial design features a smooth wooden tabletop, sleek metal framework with 4-caster wheel accents and, of course, a 6-slot standard size wine rack complete with stemware rack and slender shelving perfect for displaying tableware. A beautiful and classic piece of furniture that is offered by us to add a sense of modern style and traditional settings to your home. 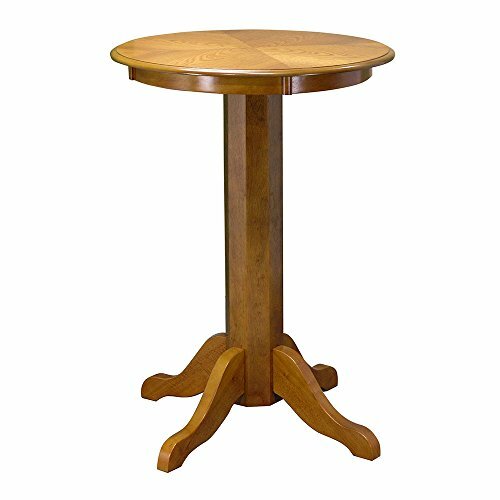 Gracie Oaks Chapdelaine Pub TableCategory: Oak Pub TableFeatures: -Made of veneers, wood and engineered wood. -Counter height. -Fits 4 counter height stools. Country of Origin: -China. Product Type: -Pub table. Table Base Type: -Legs. Table Shape: -Rectangle. Table Color: -Brown. Table Base Material: -Solid + Manufactured Wood. Tabletop Material: -Solid + Manufactured Wood. Shelves Included: -Yes. Table Footrest Included: -Yes. Table Seating Capacity: -4 seater. Dimensions: Table Height - Top to Bottom: -36". Table Length - End to End: -52". Table Width - Front to Back: -32". Overall Product Weight: -71 lbs. Specifications: Commercial OR Residential Certifications: -Yes. 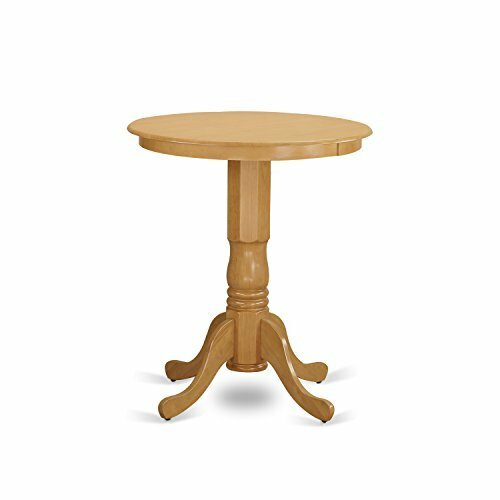 Gracie Oaks Marchan Square Pub TableCategory: Oak Pub TableFeatures: -Constructed from solid select hardwoods. -Hand rubbed and slightly distressed finish. Table Base Type: -Legs. 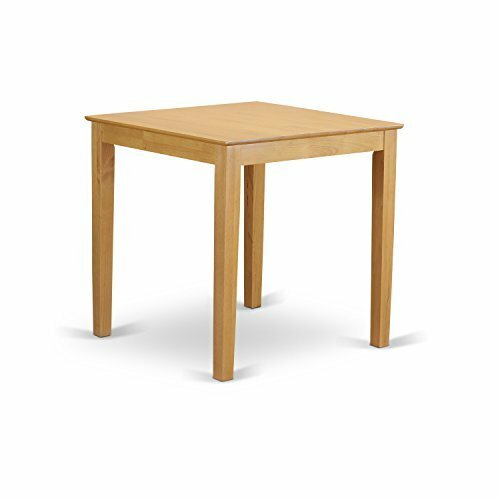 Table Shape: -Square. Distressed: -Yes. Country of Origin: -Malaysia. Product Type: -Pub table. Table Seating Capacity: -4 seater. Tabletop Material: -Solid Wood. Table Base Material: -Solid Wood. Dimensions: -Distance from legs to the outside of the table: 10". Overall Product Weight: -77 lbs. Table Height - Top to Bottom: -36". Maximum Table Height - Top to Bottom: -36". Table Length - End to End: -42". Table Width - Front to Back: -42". Liberty Furniture Industries Nostalgia Round Pub TableCategory: Oak Pub TableElevate the traditional elegance of any small dining space in your home with the Liberty Furniture Industries Nostalgia Round Pub Table. 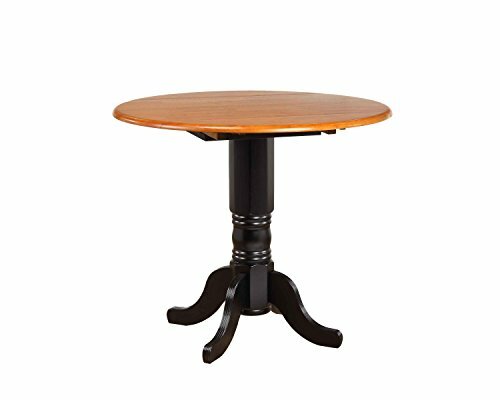 This tall pub table boasts a pedestal base with turned wood details. The warm oak finish creates a classic addition to your décor. Liberty Furniture Industries It now operates out of three main facilities in Atlanta, one brand-new facility in Chicago, and its first Asian office. As Liberty continues to grow, it searches for more ways to expand and offer more of what its customers want. Liberty is now one of the premier leaders in manufacturing and delivering quality furniture at exceptional value. Through its growth, it has remained a strong, family-oriented business that never compromises its values of dedicated customer service, a relentless pursuit of quality, and a devotion to enriching lives of its employees, its customers, and its community. Boraam Oak Sumatra 3 pc. Pub Table SetCategory: Oak Pub TableRelax and take a seat at the Boraam Oak Sumatra 3 pc. Pub Table Set. Durably constructed, this table's sunburst wood veneer top sits on a single column base and four legs of carved wood. Two solid wood chairs complete the set and tout their style with a brush oak finish and fresh, basket-weave backs. Easily cleaned, the PVC upholstered foam padding provides comfort that caters to you. Boraam This product is manufactured by Boraam Industries. With many years of experience in the furniture industry, Boraam is committed to providing well-styled, top-quality home furnishings and furniture at reasonable prices. Based in Mundelein, Ill., Boraam has its own tropical hardwood production facilities in and outside the USA. 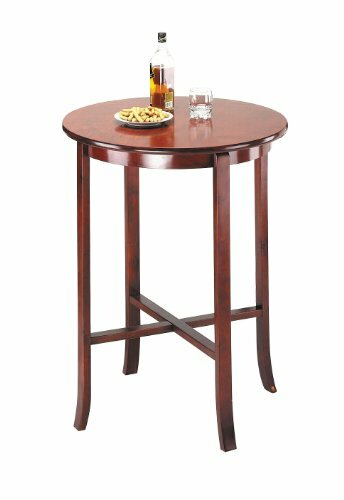 Gracie Oaks Mac 4 Piece Pub Table SetCategory: Oak Pub TableFeatures: -Multipurpose bar table set. 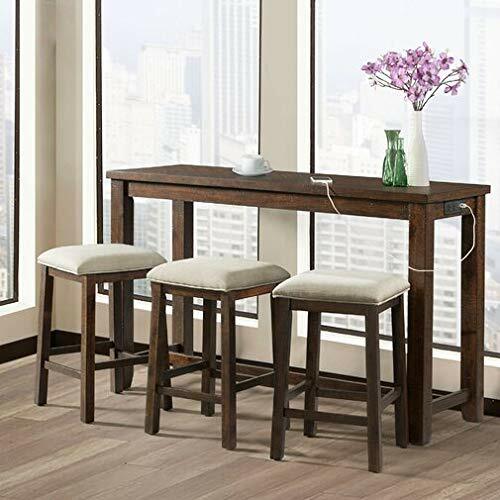 -Set includes 1 table and three bar stools. -Usb ports. -Power strip. -Ships in one box. -Upholstered seats. Country of Origin: -Viet Nam. Product Type: -Pub table set. Table Base Type: -Legs. Table Shape: -Rectangle. Table Color: -Dark Walnut. Table Base Material: -Solid + Manufactured Wood. Tabletop Material: -Solid + Manufactured Wood. Stools Included: -Yes. Table Footrest Included: -Yes. Upholstery Material: -Fabric. Dimensions: Table Height - Top to Bottom: -36". Table Length - End to End: -60". Table Width - Front to Back: -20". Overall Product Weight: -106 lbs. 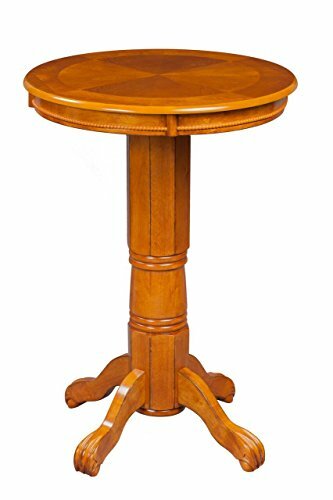 Better Homes & Gardens Mercer 5-Piece Counter Height Dining Set, Vintage OakCategory: Oak Pub TableThe stylish Better Homes & Gardens Mercer 5-Piece Counter Height Dining Set adds a modern touch to your space. This elegant set features a sturdy metal frame and a multi-step finish on the sleek wood seat and back. The counter-height, square table, and four matching chairs are ideal for small spaces and complement most any interior decor or furnishing style from modern and contemporary to classic and traditional and all things in between. 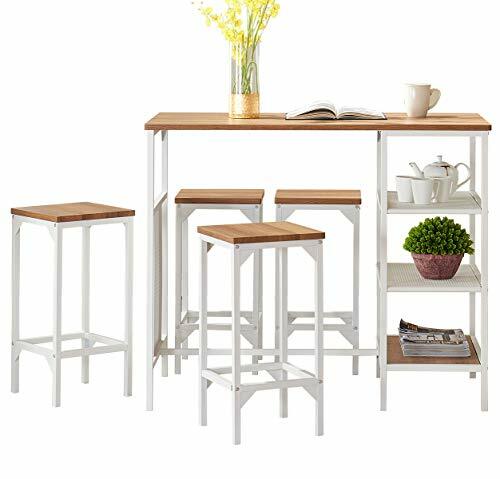 This amazing set is ideal for dining spaces, kitchens, breakfast nooks, or for use as extra seating in your living room, study or home office and beyond. It coordinates well with other items in the Better Homes & Gardens Mercer Collection and is easy to assemble so you can begin enjoying it almost immediately. Whether making brunch, breakfast, lunch or dinner, you'll enjoy prepping and serving meals on this counter height dining set for years to come.